My cast iron skillet has quickly become my favorite pan to cook in. I have a ton of apples sitting around just waiting to feel some love. I made a mixed berry cobbler (recipe here)in this pan this summer so I knew I wanted to make an apple cobbler in it. I thought I should have doubled the topping but once I tried it I realized that the topping sunk down and is all through out the apples. 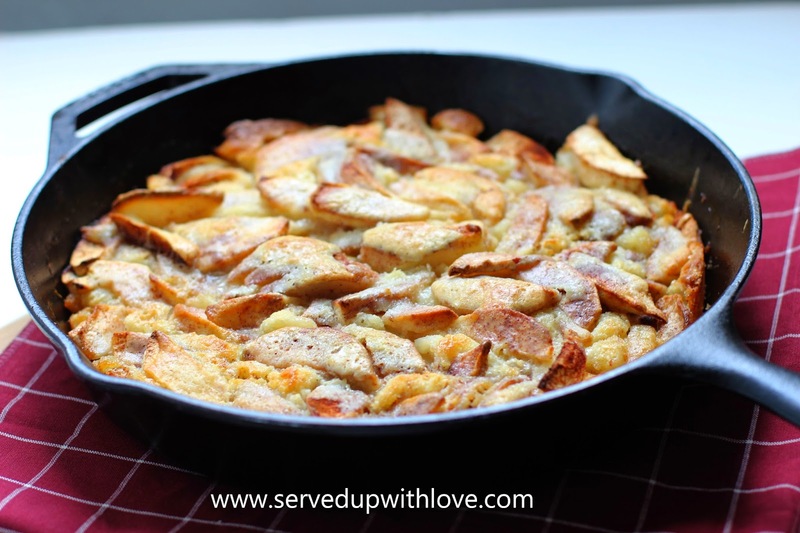 Almost like an apple skillet cake. So not having enough topping worked out really well in this recipe. Fall is my absolute favorite time of year. I am a baker at heart and love to use the fall flavors any chance I can get. I have quite a few new recipes that include apples planned for upcoming blog posts. If you follow me on Pinterest (follow me here) you already know I have a board dedicated just to fall. Apparently I am not the only one who loves fall because each day I have more and more people follow that board alone. I just can't help myself. Peel, core, and slice your apples. Place in a baking dish or cast iron skillet. Sprinkle the apple pie spice over the apples. In a separate bowl, combine flour, sugar, baking soda and stir to combine. Add milk, egg and 2/3 stick of butter.Place pats of butter over the apples before pouring the topping with the remaining 1/3 stick of butter. 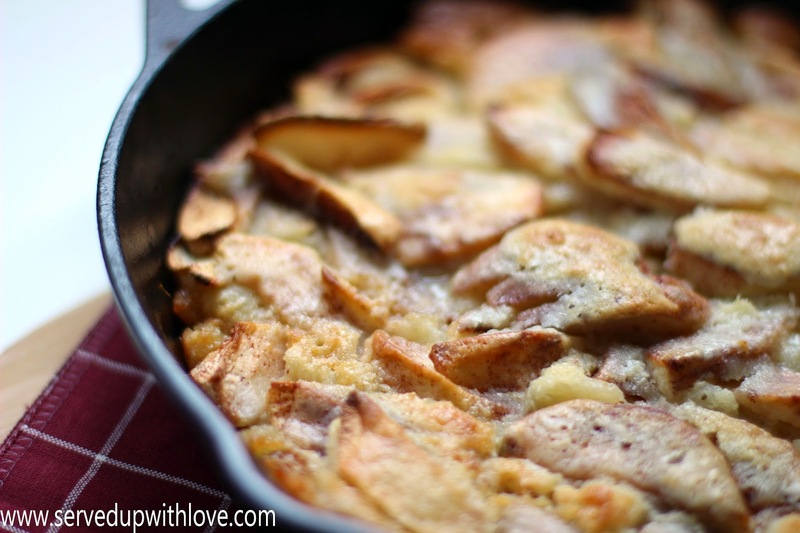 Pour the cobbler mix over apples and place in a 350 degree oven for 30-40 minutes or until topping is browned. Great served warm with a scoop or two of vanilla ice cream. I would love to know what is your favorite fall dish is, leave me a comment below.